Gadgets. 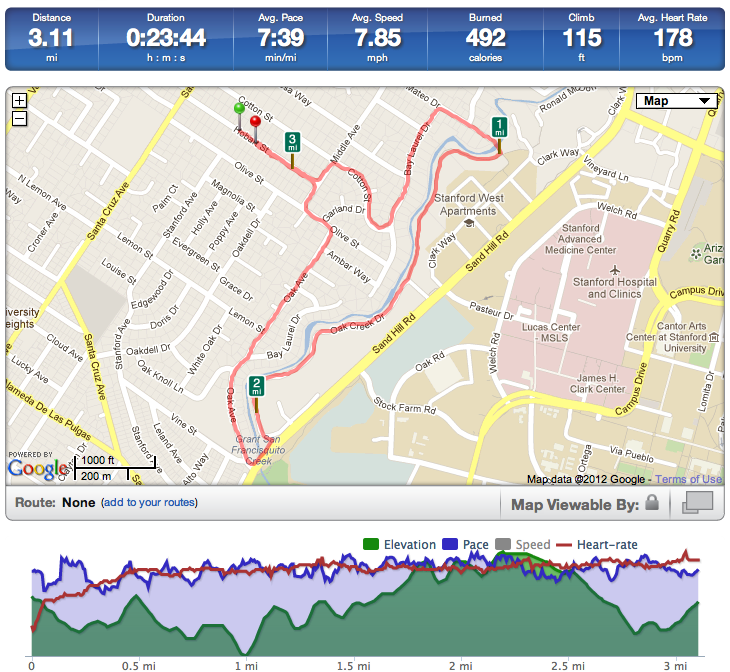 I don’t do much without electronic gadgets, and running is no exception. My iPhone 4S provides the soundtrack (Mumford & Sons). RunKeeper satisfies my nerdy obsession with data (see stats for my wwwp5k or join my street team!). 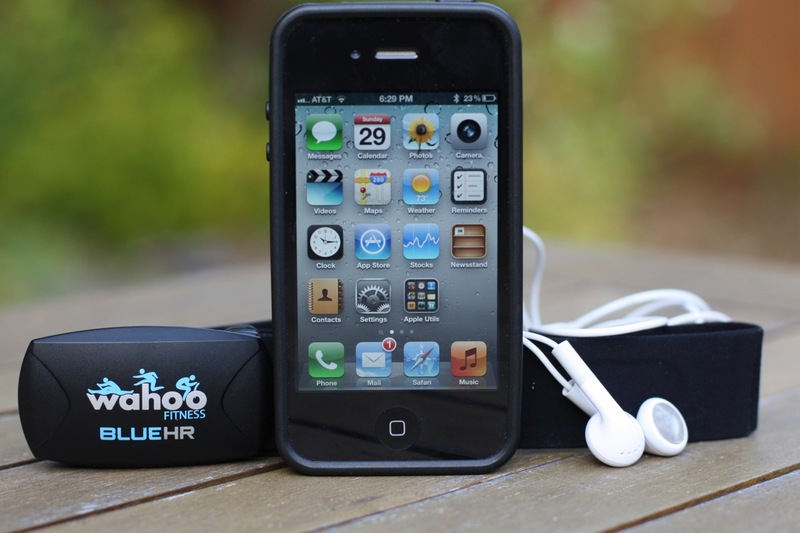 Wahoo Fitness’s cool new BlueHR heart rate monitor uses Bluetooth Low Energy to tell RunKeeper just how out of shape I am. And the Skype app lets me keep in touch with the many exploding tickets from my Happiness engineer rotation. Food. My two daughters baked some excellent blueberry muffins yesterday. I had a few right out of the oven, one for a snack in the afternoon, and a few more this morning. That seemed like just the right amount of carbo-loading. Shoes. My current pair is the New Balance MT20 Trail Minimus shoe. I got into minimalist running about a year ago in an effort to improve my running form (which is about as lithe and relaxed as a drunken elephant walking backward on a balance beam). I’m not sure my form has improved, but I discovered a hidden masochistic side during six months of non-stop calf pain. These days they feel pretty good and I tend to wear them all the time. My wife sometimes asks if I’ll be wearing them to bed. Outfit. When I first started using WordPress.org, I liked it so much that I wanted to pay something. So I found my way to the Indigo Clothing WordPress shop and “contributed” $17 by ordering a stylish red t-shirt. It seemed the perfect thing to wear for my run. I headed out this afternoon. It was hot, about 80 degrees, as I left from home south of San Francisco on one my usual routes that happens to be almost exactly 5k. 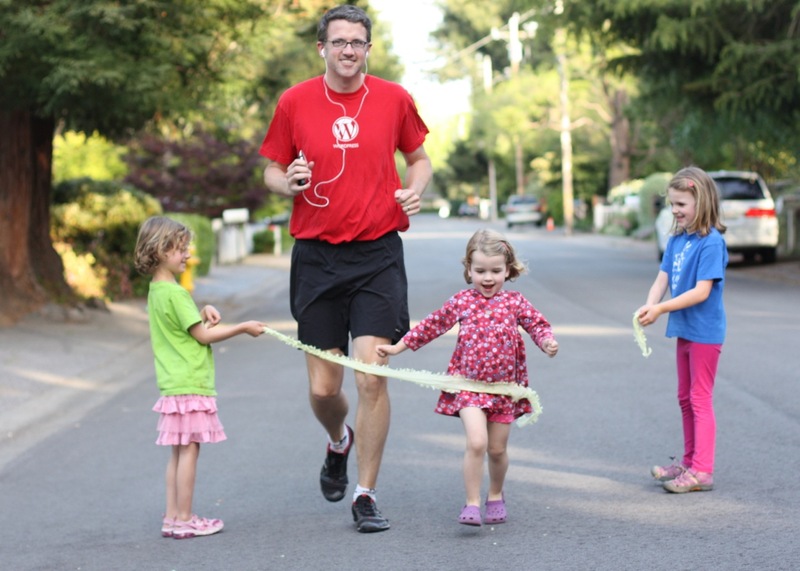 Things were pretty normal, until a few yards before the finish line when my three-year old daughter started pacing me. Her older sister and friend even held up a streamer for me so I could finish in style! Thanks to my wife for capturing the moment in the photo above. And thanks to all my fellow Automatticians for a fun, running, start! What a great cheering section at your finish line 🙂 I have a pair of the Minimus, too, and I haven’t done a ton of runs in them (not great running weather outside so far in Milan) but the run I did in NYC definitely gave me some calf pain after – so you’re saying it gets better? Thanks! The calf “adjustment” definitely took a while. This little bit of one calf (I think the soleus muscle) would knot up and just stay that way as long as I kept wearing minimalist shoes. 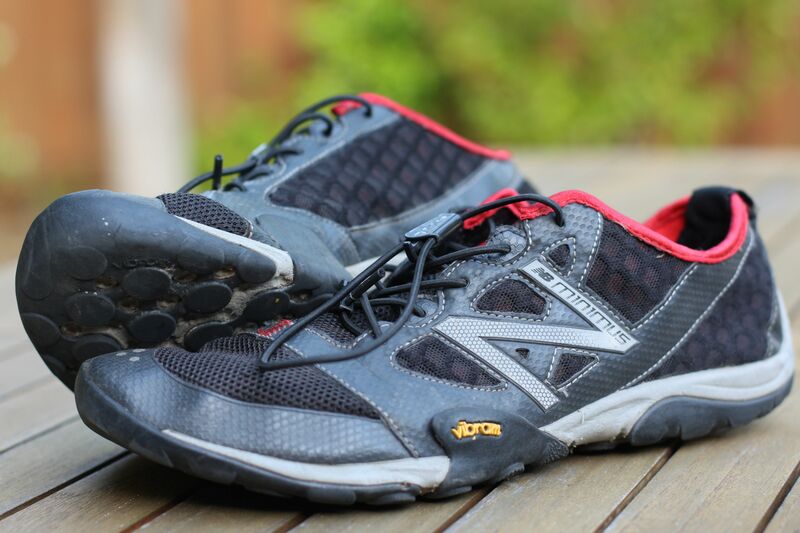 What helped me was gradually phasing in the Minimus or FiveFingers…. first one run out of every four or five, then one in three, etc., over about 6 months. Now I feel like I have cement blocks on my feet if I put on my old clunkers. There’s no going back! Nice to see some fellow minimalist Automatticians! I actually just bought a pair of Minimus as well, but I’m not sure they’re gonna work for me. The band over the top of the shoe aggravated/bruised the top of my right foot such that, two weeks later, I can still feel it the moment I put the shoes on. Really too bad, because they felt great at the shoe store. A friend of mine had the same problem and found a few blog posts (e.g. http://www.dandyrunner.com/2011/09/new-balance-mt10-minimus-trail-shoe-review/) suggesting cutting the band above the toebox to alleviate pressure. Might be worth a look. Thanks for that link Stu! I think that’ll mean I can’t return them, so I’ll have to think about it. We do have quite the collection of feather boas, but this time it was just a regular old party streamer!